The 50th anniversary may have passed us by now, but Doctor Who fans are still looking to honor the show this year in weird and wonderful ways - like trying to get a recently discovered gas giant to be named after the homeworld of the Time Lords. 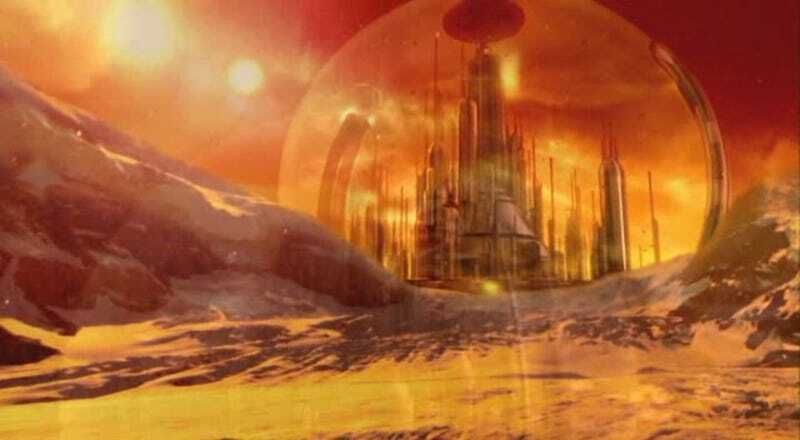 The current name for the planet, discovered by the University of Arizona earlier this year, is HD 106906 b - which frankly, doesn't really roll off the tongue, compared to Gallifrey. The young planet (well, young by our standards, it's still 13 million years old!) is quite a special one, as it was found to have a distance of 650 AU from its host star, making it the farthest-ever orbit we've observed in space so far. Doctor Who is legendary, award winning, record breaking, and global, and this planet deserves something special and supernatural as its name, How better to honor its existence than by dubbing it the home planet of our beloved time travelling alien, The Doctor? The petition, which received a signal boost yesterday thanks to a post on BBC America's Doctor Who Tumblr, now has just over 60,000 signatures to its name - if you're interested in signing yourself, you can do so at Change.org.